The philosophy of “less is more” lives and breathes at Judith & Charles. 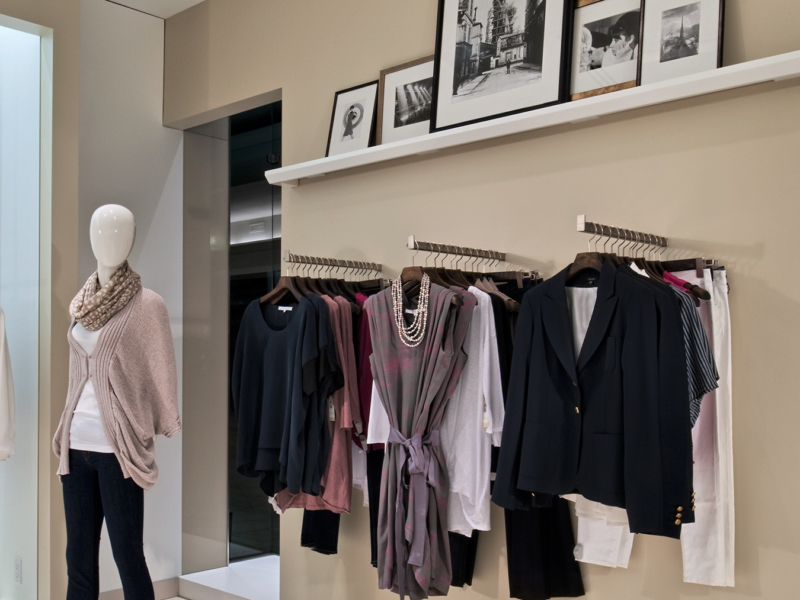 A colorless architectural envelope allows the merchandise to take center stage and make its own statement. The boutique’s simple layout allows for the various collections to all have maximum visibility. The pared-down design aesthetic and reduced merchandise density lends Judith & Charles a sophisticated appeal showcasing its finely tailored garments and superior quality fabrics. The framed black and white photographs in the store were shot by the owner and they convey the same sense of artistic quality as the product offering.